A hunt group automatically directs an incoming call to find an available (i.e. “not busy”) teammate at their personal extensions via your virtual phone system. Each extension will be tried in order until a “open” extension is reached. Extensions will be skipped during call routing if the person is currently on the phone or has marked their extension as “blocked” from hunting. Hunt groups may be searched sequentially or round robin style. A sequential hunt always starts with the first extension on the list, and works down. 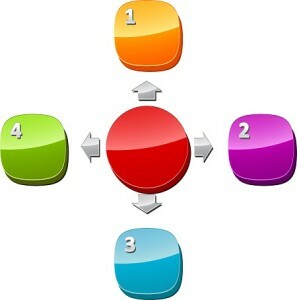 Round robin distributes the calls evenly amongst the members of the group by rotating the group member whose extension is tried first, then searching down the list in sequential order. If no one on your team is available, the caller will reach the voicemail of the extension set in the “voicemail if no one available” field in your my.halloo.com account. If you choose to omit this setting, callers will be directed to the voicemail box of the last user extension in the hunt group sequence. The voicemail extension can also be a member of the hunt group. Used in this way, the system will try the hunt members in the programmed order and return to the voicemail extension only if no one is available. Note: Hunt groups are only useful if you have at least one user extension designated in addition to the default extension. (If you choose to omit the default extension, you will need at least two user extensions.) With only a single user extension, and no distinct default extension, the hunt group serves no purpose not already met by the user’s individual call forwarding preferences. Special Case: If you would like to use a hunt group to “follow” a single user to multiple locations, such as on a mobile phone or at another office location, you may. To accomplish this, you will need a different user extension set up for each of your possible locations. Set up a hunt group with these distinct extensions in the order you would like the system to hunt for you. Enter your primary voicemail as the default extension. This entry was posted in Hunt Group, Virtual Phone Systems by daniel. Bookmark the permalink.